During the Late Middle Ages, with the Crusades and the Hundred Years’ War over, the French kings fought mainly to get control of more and more land, gradually forming their country into modern France. After Charles VII – the same one that Joan of Arc helped – finally won the Hundred Years’ War against England in 1453 AD, he ruled another eight years before he died in 1461. He was 58 years old. His son Louis XI became the next king. Louis continued his father’s practice of getting control over more and more land by taking over most of Burgundy from the Dukes of Burgundy. 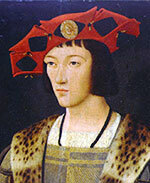 Louis XI died in 1483 when his son Charles VIII was only 13 years old. His older sister Anne, who was 22, ruled instead. 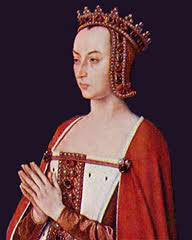 Anne helped Henry VII of England to win the Wars of the Roses, building a stronger peace with England. 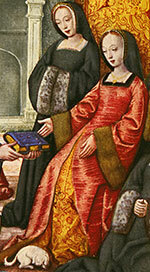 She also defeated the rich men’s revolt against her control, and arranged a marriage between her brother Charles and the duchess Anne of Brittany, which helped make Brittany part of France. When Charles was 21 years old, in 1491, he and his wife Anne of Brittany got power into their own hands. Charles invaded Italy and took over most of it, but he soon lost it again. 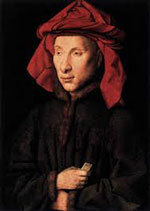 Charles died in 1498, when he was only 28 years old, after hitting his head on a door frame. He and Anne had no living children, so Charles’ father’s second cousin, Louis XII, became the next king of France. Louis XII, when he became king, had the Pope annul his marriage and married Charles’ widow, Anne of Brittany, to keep Brittany as part of France. Like Charles, he took his army to fight in Italy twice, won at first, and then lost again. But none of Anne of Brittany’s sons lived. Like Charles, Louis XII died without sons, and his two daughters couldn’t get power. Louis’ cousin (once removed) Francis I succeeded him. Francis’ reign really ends the Middle Ages and begins the Renaissance in France. Cite this page: Carr, K.E. Late medieval France – Anne, Anne, and Charles IX. Quatr.us Study Guides, August 3, 2017. Web. April 26, 2019.